Detailed Hands-On: NVIDIA Shield's PC Game Streaming - Is It All It's Cracked Up To Be? 7 So... Do I Want This? 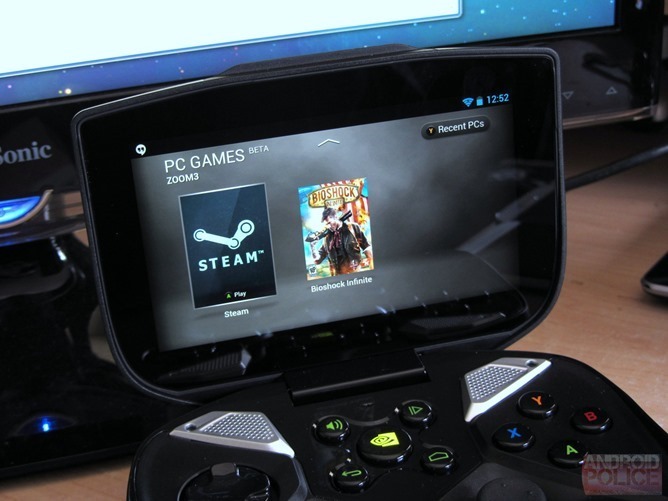 When I first experienced the NVIDIA Shield's ability to stream games from a PC to the handheld unit wirelessly at CES back in January, I was floored. While it is remarkably similar to the Splashtop game streaming functionality NVIDIA demoed at CES 2012 (which never really came to fruition), Shield streaming feels like an even bigger step forward. This is basically NVIDIA's "look at what we can do" technology - it's what happens when they can have a high degree of control over the gaming experience. And it's pretty damn cool. It also works. Mostly. If you have the right equipment setup. And the conditions are pretty near-ideal. Even so, it's still impressive. I mean, take a step back and think about what's happening here: your computer is rendering a game (whose graphics settings, ideally, are pre-configured by GeForce Experience for optimal performance and quality), and then compressing that game - live - into streaming 720p H.264 video pushed through your local network wirelessly to the Shield handheld. Meanwhile, the Shield is sending control inputs back through that network to the PC. This is all happening with almost no latency, and it's a pretty seamless experience - no weird dongles, no cables, no absurdly complicated software to set up and configure. It really does just work. That's kind of incredible. Frankly, I expected it to be worse than this. I expected bugs, problems, major compatibility issues, and overall levels of jankiness to be significantly higher. This is an ambitious sort of product - a kind of product NVIDIA isn't exactly known for - and it's still a beta. But... There's a difference between a product that works and a product that works in a way that makes you want to use it. While I do genuinely applaud NVIDIA's technical achievement with Shield game streaming, as a gamer, there are bones I still have to pick with the whole experience. And here's a quick video hands-on going over how the streaming works, with a quick demo of Bioshock: Infinite. There really isn't much. The equipment is the biggest setup hurdle. You need a Shield (duh), a Wi-Fi router, and a desktop computer with a GTX 650 or higher NVIDIA graphics card. The rest of it's pretty trivial. Let me show you just how trivial. Download the latest NVIDIA beta drivers with GeForce Experience. Connect your Shield and PC to the same network. 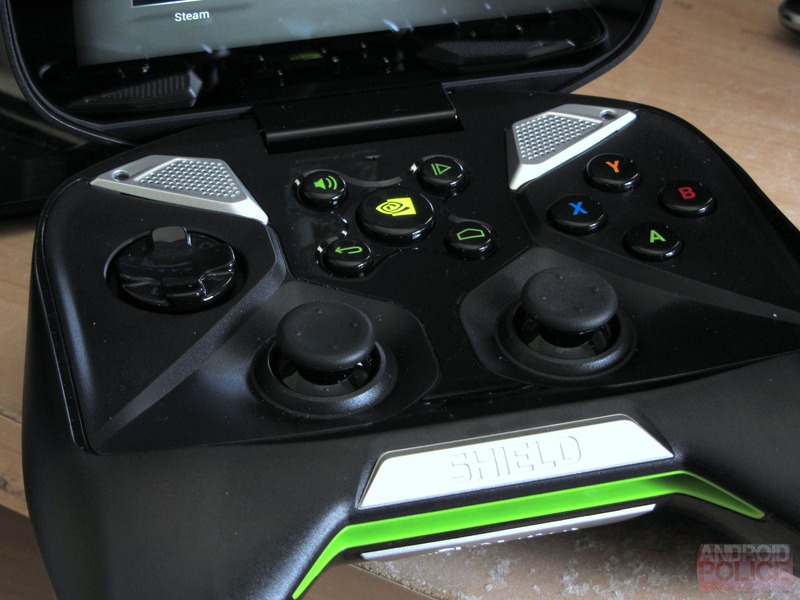 Hit the NVIDIA button on your Shield. Go to PC Games Beta. Find your computer, accept the connect request on your PC, and start playing. Now, of course, this is assuming all five of these steps go smoothly. And given I don't have half a dozen PC and network configurations to test, I cannot say with complete and utter confidence that it will work 100% of the time every time on every configuration. I have one PC and two routers. Both worked fine with out-of-the-box configurations. Here's the thing about video streamed to Shield - it seems to have a capped frame rate. 720p at 30-45 FPS is probably good enough for most mobile games. Especially those played by touch. As any PC gamer will tell you, a frame rate below 60 FPS is playable, but anything under that magic number will materially impact the gameplay experience. I can't imagine it could get much better, either - my setup is a GeForce GTX 760, Intel i7 3770K processor, and an ASUS RT-N66U dual-band N router with Shield connected on the 5GHz band. Since it's just a streamed video, the frame rate really doesn't fluctuate too much, it's pretty consistent in what feels like that 30-45 FPS range depending on the game. At that speed, though, some games become difficult to play well on Shield. Any time something really frantic starts happening in a game, or you're playing a game that requires constant variable input, frame rates matter. And when they're less than ideal, your performance will be less than ideal, too. For example, racing games. I tried out Grid - not officially supported by Shield but still totally functional - and while the responsiveness of controls was entirely adequate, the frame rate (around 25-30FPS) made me really struggle with the game at times. I couldn't get in "the groove." It was playable, but the entire time I just wanted to stare back up at my PC monitor instead for a smoother experience. I crashed more often, couldn't react to cars around me as quickly as I needed, and generally felt like I was at a disadvantage. Again, Grid isn't supported, and did run a little slower than other games that were. 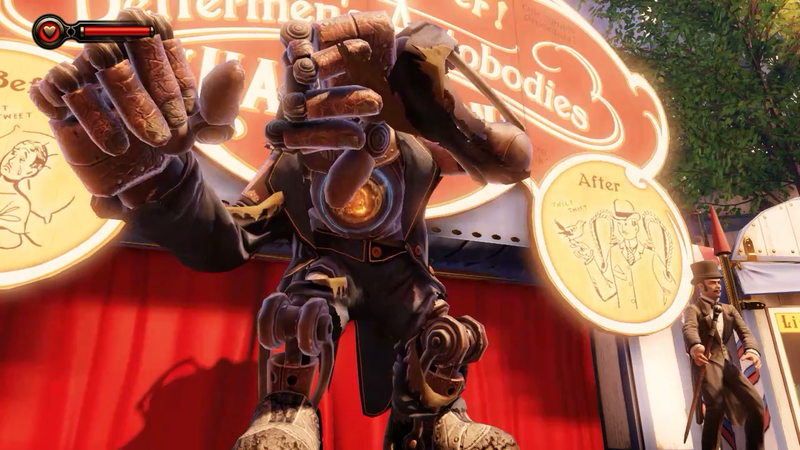 Bioshock Infinite (officially supported) also gave me this feeling, though less often, and with less severity. During combat sequences, I did sometimes struggle, especially with multiple enemies on-screen. But it was less noticeable during 1-on-1 combat (rare as it is in Infinite), and basically irrelevant when walking about / exploring the world. I'd still say it hovered around the 40-45 FPS range. The frame rate does not by any means ruin the streaming experience, but it does make it inferior to just staring up at your monitor. Obviously, the idea is not to use your monitor, or really even be near it, when playing with Shield. Then there's the size of the display. 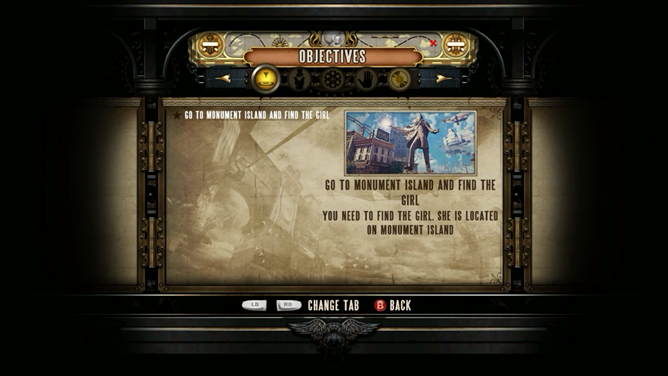 Scaling down PC games to a 5" screen doesn't always work, especially with HUDs (heads-up displays) and in-game text. Some stuff is hard to read, and visual indicators like speedometers or health bars should very obviously be scaled up for a smaller display. In games without UI scaling options, this would require explicit Shield scaling support from developers of AAA PC games. Not going to happen, I'm guessing. Slower-paced or simpler games are often perfectly fine on Shield, however. Portal 2, though not supported officially (as evidenced by the fact that the mouse cursor keeps popping up), is great fun. Its relaxed pace and casual gameplay make it a perfect candidate for the streaming feature. The audio lags. Probably a full three to five tenths of a second. It's very noticeable in high-paced shooters and racing games. I imagine it might drive you nuts in titles with lots of dialog, too, because the mouths will be a bit out of sync. And in cut scenes. Otherwise, I've not had the issues Jeremiah did with sound. I've tested 7 games, six of them not even officially supported Shield titles (GRID, LA Noire, Portal 2, Bioshock 2, AudioSurf, Team Fortress 2), and audio worked on all of them. I'm guessing this may come down to the model of NVIDIA graphics card or your particular machine in some cases, though. The quality of the speakers on Shield is fantastic. They sound amazing for a handheld; I really, really enjoy them. Using headphones? Well, it's definitely not as good as the audio coming directly out of my PC while playing the same game. It's not bad, but again, like the frame rate, it's a down-sampled experience. I have a feeling most people will be perfectly OK with the quality, though. I also noticed major audio artifacts in some (not all) of the unsupported titles. But hey, they are unsupported, and this is a beta. The artifacts would make using headphones really uncomfortable, but on the speakers they're not that bad. At least sound works in unsupported games at all. Oh, and when streaming, sound only comes out of Shield. It will not come out of your PC. You can change this by disabling the audio device your PC switches to when Shield streaming starts (note: this is not a supported or otherwise NVIDIA-endorsed method), but once I did it, I couldn't get it re-enabled, and ended up having to reinstall the driver package on my PC to fix it. Arguably the one thing NVIDIA really needed to get right on the Shield streaming experience above all others is control responsiveness. I am happy to report the controls are extremely responsive. There might be a tiny bit more latency on some unsupported games. Portal 2 was the only game I really noticed it on, and even so, it wasn't bad. It was more like using a cheap Bluetooth wireless mouse - doable, just not what you'd want in an ideal world. 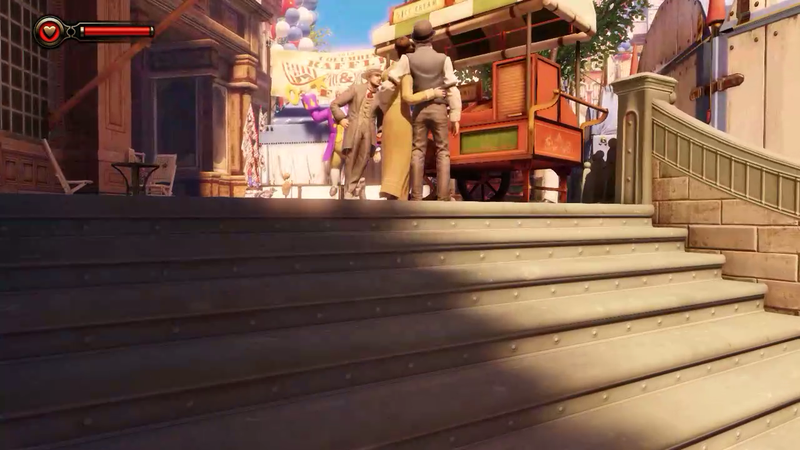 But on Bioshock Infinite, it was perfectly responsive, and I truly could not perceive any latency. Well done, NVIDIA. As for the controls themselves, you aren't going to find a better PC gamepad that isn't an Xbox controller. The joysticks are incredibly tight and button action is outstanding. The triggers are probably the low point (they have a bit of play horizontally), but I haven't actually had any problems with them. The feel and responsiveness is still there, they just don't seem as premium as the rest of the controller. No haptic feedback is a bummer, but I think I know why NVIDIA might have gone without it, especially in streaming: lag. If the audio lags behind a bit, I'm willing to bet the vibration feedback might, too. Even minor latency could turn a rumble controller into a serious annoyance. The nice thing about Shield streaming is that the only thing Shield is actually doing is streaming an H.264 video and sending some simple control inputs back over the network. As such, power consumption during PC streaming is probably about what you'd expect just watching movies: 7-12% an hour, depending on screen brightness. That means anywhere from eight to fourteen hours of continuous stream capacity. Thus, it's pretty unlikely you'll be PC streaming with Shield so much that you run down the battery. NVIDIA recommends a dual-band N router for Shield streaming. I have both a dual-band N router (ASUS model RT-N66U) and an older G router (Linksys WRT54G2). I tested Shield on both. The Linksys G router provided acceptable performance if I was in the same room. There were very occasional frame skips, but nothing you couldn't play through. Compression artifacts were few and far between. Step more than 15-20 feet away, though, and that changes quickly. Tons of compression artifacts and huge frame skips - basically making the game unplayable. You'll strain to see it until you blow up the image more, but there's quite a bit of artifacting (using G router). On my ASUS N router, with the Shield connected on the 5GHz band, I never experienced frame skips, and if there were compression artifacts, I didn't notice them. Not until I wasn't on the same floor as the router, with the signal then going through several walls, was there a noticeable degradation of performance. The lesson? You should be fine as long as you have an N router and a small house. Venture too far from reliable Wi-Fi, though, and things will quickly get ugly. The same is true of any device requiring always-on Wi-Fi connectivity, though, and I'm not going to blame NVIDIA for not inventing a way to make Wi-Fi go through walls better. It is what it is. So... Do I Want This? Hard to say, really. Here's the thing, and this is my opinion after using it for a week or so: I'm not strongly compelled to use it much in the first place, and because it doesn't work perfectly, I am even a little more not strongly compelled than that. So even when we're out of the "beta" woods and everything's working ideally (a big "if"), I'm still not super convinced. 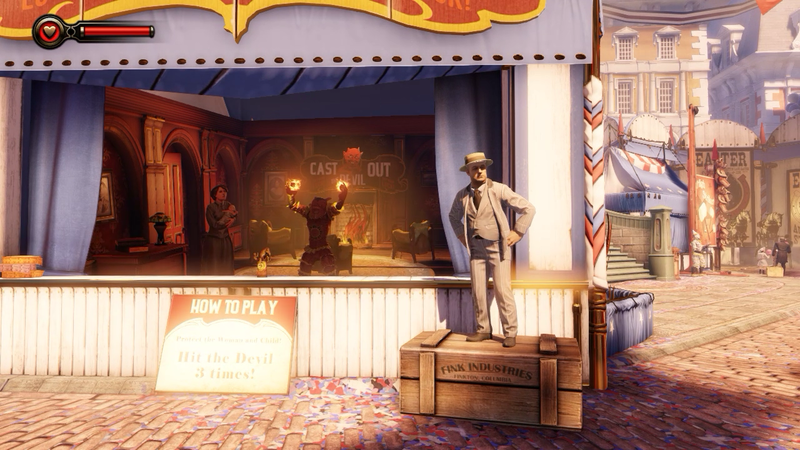 While playing Bioshock Infinite, all I can think is "gee, I'd really like to go back to my mouse and keyboard for this." In racing games, Shield makes a great dedicated controller (I actually just watched my PC monitor while playing Grid most of the time), and if you want to move about your house while playing games - within a reasonable distance of your router - it's good for that, too. But how many people want that? I'm not sure it's a big number. I'm not denying that this is incredibly cool from a technical perspective. It's still kind of crazy to me that it can work at all. A dedicated "controller mode" - no video or audio is transmitted to Shield, but instead it's just used as a plain old wireless controller. Why not? I use it that way often enough already. Hot switching for audio output mode (Shield or PC). Automatic pausing of game when you hit the home or NVIDIA button (right now the game just keeps running on the PC). Support for laptop chipsets, connected using ad-hoc Wi-Fi - this way you could play some of your games (offline) while away from home. I'm not sure how well this would perform, though. Honestly, the rest of the issues are more matters of refining and honing. Frame rate, audio lag, and title compatibility will get better with time, I'm sure. I've also read the complaints people have about Shield game streaming, the most common among which seems to be that it won't work on a mobile data connection / other Wi-Fi networks. Uh, duh? You'd burn through your mobile data cap in no time flat (if you even had a quick, reliable enough connection), and worse, the latency would be terrible. You have to remember, anything above a couple tenths of a second is something you're going to be able to notice in terms of controller latency. And at that point you're not having a good experience anymore, and the streaming really would be little more than a novelty. Don't ask for NVIDIA to do something that's invariably going to be a crappy experience. That's dumb. The whole issue of latency is what NVIDIA is trying to help solve with its uber-powerful GRID servers, so let the cloud gaming services handle the cloud gaming problems. Your desktop computer and an Android handheld are not going to pull it off. If you have a Shield, the PC streaming is a very neat feature that works pretty well. Especially for something that's in beta. I don't know that it's a big reason to buy one right now, though. I look forward to seeing how it evolves (60FPS video eventually please please please?) as time goes on, and as new officially supported titles are added. Is it going to change your life forever? No, but I think it's an endeavor worthy of pursuing, because if NVIDIA can iron out the wrinkles, they might really get a niche going with this.